Google has updated its chat application Allo on Android to version 2.0 and the update brings along some of the most requested features to the app. Even though Allo did not make as big an impact with its launch as Google expected it to, the new features might attract some new users to the app. With the update, Google has brought splitscreen multitasking to Allo. Apart from multitasking, the update adds features like app shortcuts, gif keyboard, and quick replies to the app. Incognito key alerts and support for landscape mode has also been added to the app with the update. App shortcuts feature allows users to start a conversation from the homescreen itself while splitscreen multitasking, as the name suggests, allows users to multitask with support for multiple windows. 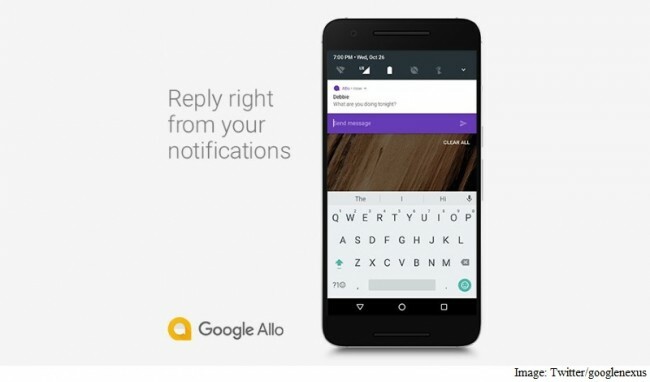 Quick replies feature allows users to reply to messages through the Google Allo notification itself. The new features were revealed by Justin Uberti, co-lead for Allo project, through his Twitter account. As with every other update, the rollout is expected to reach users in phases. There is no indication of when a similar update will make its way to iOS. Google’s Allo app was presented as a simple chat option for users by the search giant. However, the chat app did receive criticism, most notably from Edward Snowden, for the lack of user privacy provided by the app. Soon after the launch of Allo, Snowden advised people not to use it and defined it as “A Google app that records every message you ever send and makes it available to police upon request.”Google Allo sports the AI-based Google Assistant, a virtual assistant or bot that can respond to queries and otherwise assist the user. The chat app also uses machine learning for its Smart reply feature. To improve both features over time, and personalise to the user, Google says it needs to store your chat data on its servers. We will have to wait and see if the new features of Google Allo 2.0 are able to generate enough interest in the app that it will be able to match the user numbers on more established apps like WhatsApp.